Photos from Rosegal.com, Layout designed by Cinthy Kwok. In collaboration with Rosegal.com. It's Summer Time! Sun-kissed skin, endless amount of sweats, ice-cream, and beach, are a few of the things we relate when it comes to Summer. While beach is the main destination for summer holidays, this post brought to you by a collaboration with Rosegal.com will give you some recommendation for a hot summer look. The collection of Mermaid Bikini and Tie Dye Swimsuit from Rosegal.com has literally caught my eyes, the unique designs of bikini and swimsuit, and not to mention the variety of beautiful gradient and ombré colors. 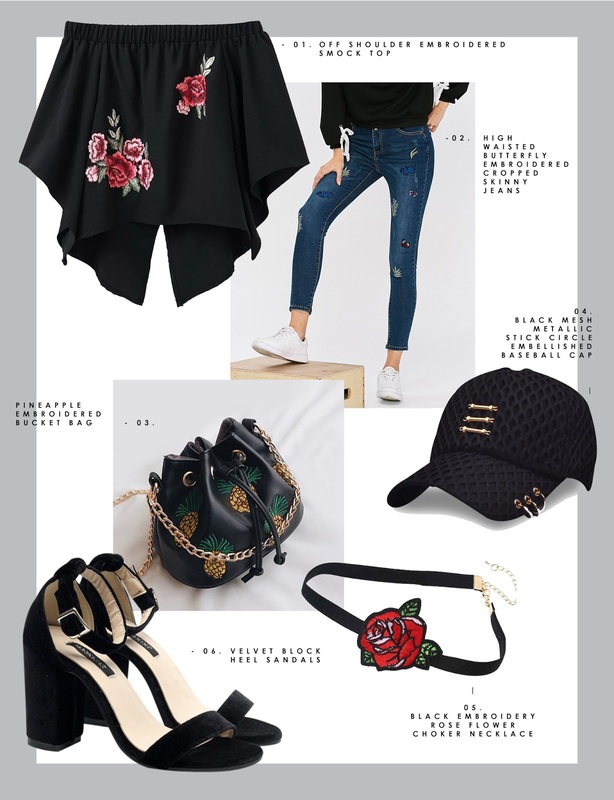 A little bit about Rosegal.com, is an online clothing site which ships worldwide for free and offers high quality clothing styles at affordable prices, and also serves the needs of many people through their women's wear, men's wear and plus size range. So here are some of my picks from Rosegal.com for a hot summer look. Last but not least, don't forget to check out Rosegal's Deal Zone as there are some deals going on. Anyway, I am so sorry for not updating my blog with the photoshoots I had like I promised before, since I accidentally injured my left wrist a few days ago and it's quite hard for me to be on the laptop for too long to edit photos and things. I'll get back once I am better. Have a great day, peeps! x, Cinthy. You've got some really great taste, girlie; I love all the pieces you've shared, perfect for summer! Thanks for sharing and I hope you're having a great start to your week so far! Your picks are just so fab! Especially loving the cotton candy bikini! These pieces are so adorable! I especially love 1 and 2! Embroidery is so cute right now! Mermaid bikini?! Count me in, haha! I'm enjoying the trend with the roses so much right now too. Beautiful selection you have there! Woww!! Amazing selection!! Love them! That mermaid bikini is absolutely gorgeous! i want that mermaid bikini! <3 it's so pretty! This wishlist is so pretty! I'm loving the mermaid bikini! That pineapple bucket bag is soooo gorgeous!! Now these are summer perfection. WOW!! This wishlist is so pretty! I'm loving youor mermaid bikini!